Not everyone has hearing issues but most of us like a good story. to hear, employing hearing technology available at the time. When Flo began school, she was often banished to the class coatroom for not paying attention. Some thought she was mentally retarded, some thought her un-attentive, and some didn’t want to be bothered. It wasn’t until she had a routine physical at age six that a doctor realized she was having a hearing problem. This came as a complete surprise to her family. Flo’s mother got her a hearing device for one ear, then spent years teaching her to enunciate more clearly. Two less expensive alternatives to expensive hearing aids are: The Comfort Contego FM system ($800).The Harris Communications PocketTalker ($140) These devices have surprising quality and comparatively low price compared with hearing aid costs. 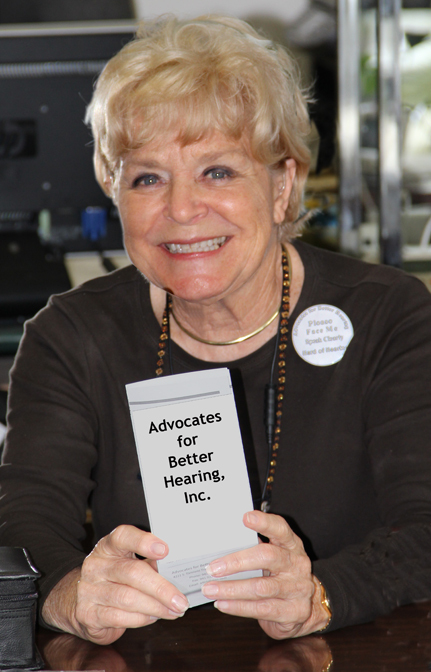 Considering there is little or no insurance coverage for hearing devices these are affordable alternatives. men who see hearing loss as a weakness one should bear up under. BALONEY. Those men have no idea how difficult their hearing loss makes life for their friends and loved ones who have the daily challenge of communicating with a hearing deficient individual. I decided the time had come for me to re-investigate hearing devices. Several years ago I tried wearing some pretty advanced hearing aids but found them disorienting and frustrating, so I gave up. Someone (having a hard time making themselves understood by me) recently suggested I research a personal amplifier. In the midst of this research I discovered Flo. My visit with her was certainly educational and enlightening but, most of all, Flo offers me and other hearing impaired folks HOPE. Flo and I are working together now to improve my hearing capability. With all of technologies wonders today, it is possible that one day soon, the hearing assisted person will be seen as quite a normal individual, simply with a corrected hearing deficiency. Now wouldn’t that be a wonder. This is good info for lots of Baby Boomers who blew out their eardrums at 60’s rock concerts! So wonderful to see someone who has turned adversity into something truly beneficial to so many. Having some experience with this issue from the time I was little; i.e., “is that a new watch Grandpa?” “yes, little Timothy Michael”, “…what kind is it Grandpa?” ” it’s about 2:30, Timothy Michael”, I am glad it’s an issue you’re tackling both personally and in blog. You’re so right about it effecting everybody around the impaired individual, it prompts us to treat the problem with a community focus instead of a stigmatic approach. Thank you for bringing to light this gifted individual who offers both relief and constructive solutions for a problem we will all face in one way or another.